Homebuyers with small deposits are enjoying record low mortgage rates, despite two hikes to the Bank of England base rate in the last 13 months. Since November last year, the base rate has increased from its record low of 0.25% to 0.75%, yet interest rates on 95% mortgages have fallen to the cheapest levels in nearly a quarter of a century. The average two-year fixed-rate 95% mortgage stood at 3.33% in October this month, according to data from the Bank of England. Borrowing £200,000 for 25 years at this rate would require monthly payments of £983 – down 5.1% since the start of 2018 and 7% lower than 12 months ago. 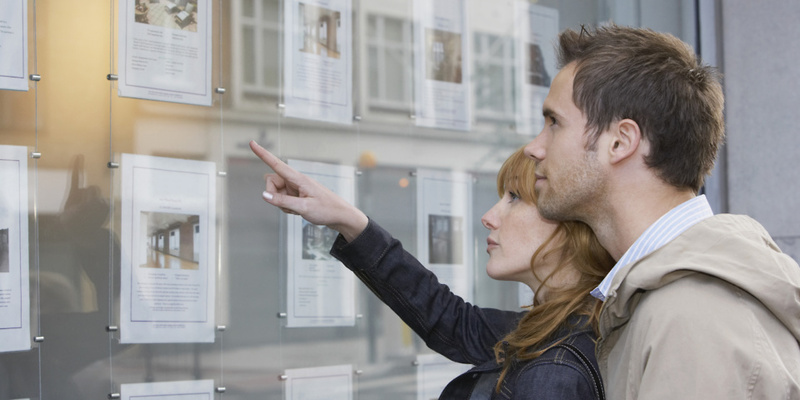 So, is the picture looking rosy for first-time buyers with small deposits? If you’re buying your first home and need advice on your mortgage options, call Which? Mortgage Advisers on 0800 197 8461. When the Bank of England started collecting data on 95% mortgages in December 1997, the average rate on a two-year fixed deal was a whopping 7.99%. But the average rate on 95% deals has dropped since the base rate increased from 0.5% to 0.75% in August. Two-year fixes have fallen in price by 0.28% (from 3.61% to 3.33%) and five-year deals have dropped by 0.25% (from 4.14% to 3.89%). The chart below shows how average rates have fallen at in recent years. Why are 95% deals getting cheaper? By becoming cheaper, 95% mortgages are bucking a trend, as mortgages at other loan-to-value (LTV) levels have grown more expensive over 2018. Deals at popular LTVs (such as 75% and 80%) hit historic lows a little over a year ago, resulting in squeezed margins for banks fighting to offer chart-topping rates. These incredibly low prices, combined with two base rate increases, have seen mortgages get more expensive in 2018. The outlier in this trend is the humble 95% mortgage. Some 95% mortgages remained comparatively expensive while other deals were cheap. Partly, this was because many banks didn’t offer these low-deposit mortgages, presumably due to the risk involved at lending at such a high LTV. Now, the tide is turning. In 2018, more banks are coming to the market and fighting to offer cheap 95% deals, resulting in a big uplift in products and much cheaper rates. What are the cheapest 95% deals? The averages don’t, of course, tell the whole story. Homebuyers with small deposits are currently enjoying significantly cheaper rates if they qualify for the best deals on the market. The cheapest fixed-rate mortgages currently charge less than 2.8% over two years, or 3.44% over five years. Loughborough Building Society and Marsden Building Society both offer two-year deals at 2.79%. Loughborough charges a £999 fee, while Marsden charges a booking fee of £299 and an arrangement fee equivalent to 0.5% of the loan. Use the calculator below to find out how much you might be able to borrow with a 95% mortgage. While 95% mortgages are good value right now, first-time buyers who can save a little more can benefit from a much better rate at 90% LTV. For example, if you’re taking out a fixed-rate mortgage 90% deals can be as much as 1% cheaper, which can shave thousands off your payments in the long run. Many first-time buyers rely on the so-called Bank of Mum and Dad to help them buy their first home. And while this assistance often comes in the form of cash gifted or loaned as a house deposit, parents could also consider guarantor mortgages or joint mortgages. Always take independent financial advice before financially linking yourself with another individual. The government offers equity loans of up to 20% (40% in London) through its Help to Buy scheme. This means you can buy a new-build home with a 5% deposit and get a 75% mortgage. Between its launch in April 2013 and the end of June this year, nearly 184,000 homes had been bought using a Help to Buy equity loan, with eight in ten going to first-time buyers. Shared ownership schemes allow you to buy a share of a property (typically 25-75%) from a housing association and pay rent on the rest. You can upgrade to full ownership through a process called staircasing, but shared ownership costs can be very expensive from month-to-month once you’ve factored in service charges and rent. If you’re considering buying your first home, it can be helpful to get some advice from a whole-of-market mortgage adviser, who can find you the right deal for your personal circumstances. For impartial, expert advice call Which? Mortgage Advisers on 0800 197 8461 or fill in the form below for a free call back. Get expert mortgage advice from Which?